Get real-time and detailed insight into premium and loss to calculate profits and make better predictions. To prevent unforeseen losses, insurance companies need to price their products in a way that can provide a safety net. For any insurance company, it makes sense to keep loss ratio lower than the premium charged. How to achieve this goal in informed and timely manner is a challenge. 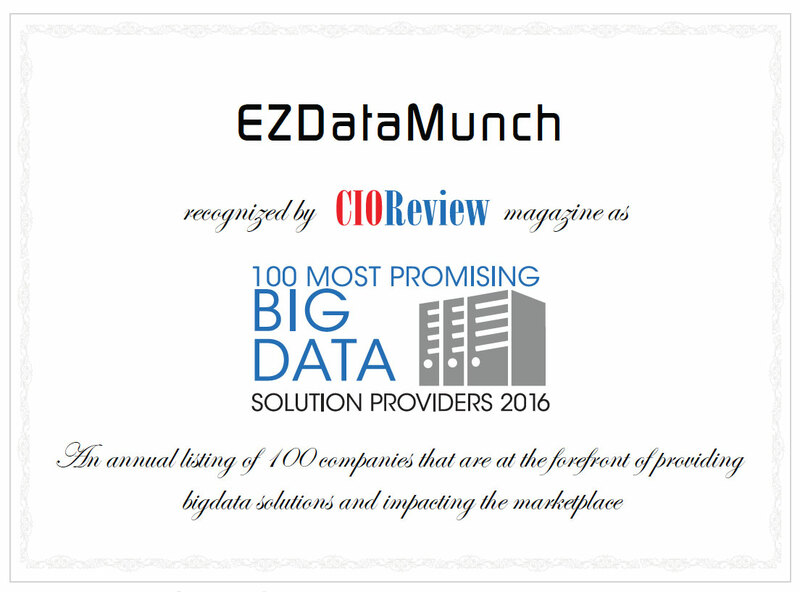 One way to achieve this is by delving into the ocean of data available. Using the right business intelligence tools, this data can be converted into interactive visual reports. Harnessing the power of information, companies can look in historic data to analyze trends and track anomalies in premiums charged and claims disbursed. Managers can identify disruptive patterns or leakages and take actions to rectify them. Our insurance analytics solutions consists of dashboards that gives detailed insight in the premium and loss factors. Managers can see an aggregated view of current policies and the premiums charged. Analyze loss ratio per product in percentage and compare the data with last years data to understand risks and take informed decisions to mitigate them. Premiums and loss analysis are the two main components of insurance analytics. 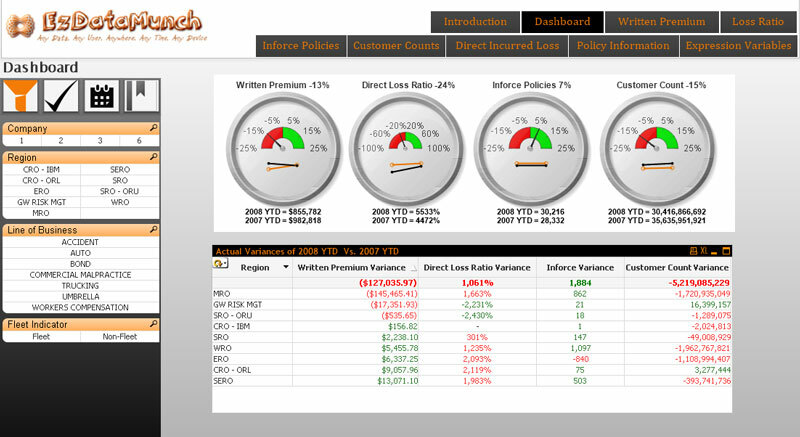 This dashboard gives real-time insight in premiums written and loss incurred. 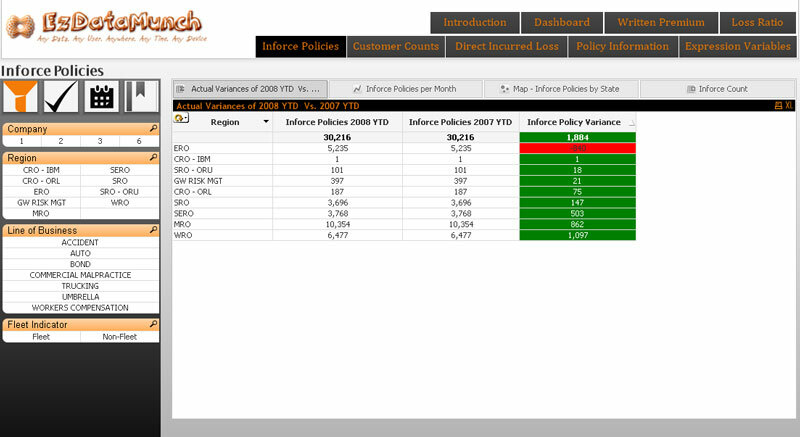 Get real-time overview of premiums written, loss ratio, policies currently in force and total number of customer’s. Compare current year’s premiums, loss, and policies inforce and customer variance with previous year to track trends. Report can be filtered as per company, region, line of business and more. 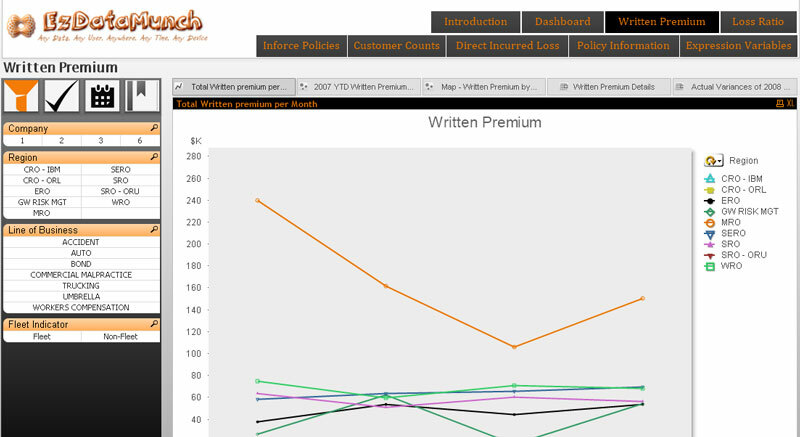 Written premium dashboard of our insurance analytics solution gives a drilled down view in premiums written. Leaders can see the dollar value of all the premium written differentiated as per the region. Options to shift between tabs such as premiums written per month, premiums written last year, location map for premiums and more are given. 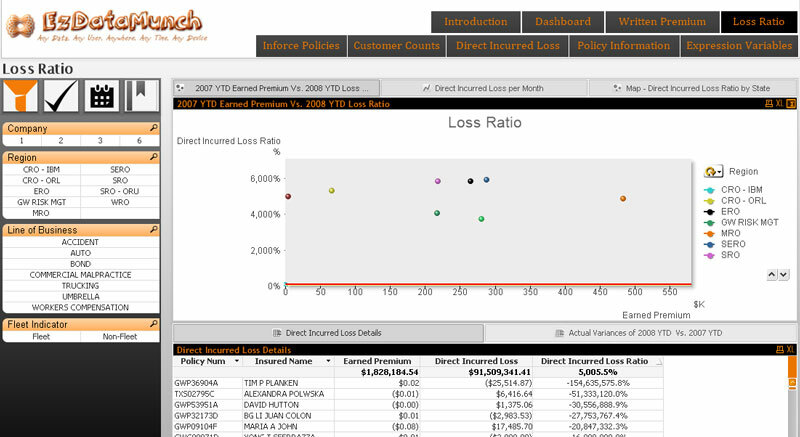 Our insurance analytics dashboards help in determining loss by giving real-time insight in loss incurred. Analyze direct incurred loss ratio and compare it with premium earned to gauge the effectiveness of company’s risk management policies and take actions to improve them. Managers can shift through multiple tabs to check loss per month and view loss per location on a map. Report can be further filtered as per location, policyholder’s name, earned premium, claims settled and loss incurred. Our insurance analytics dashboard gives managers real time information about all the policies currently in force. The report can be classified as per region and current year’s numbers can be compared with previous year’s to track and monitor variance and company’s performance. Options to view in force policies per month and as per location are also given to provide better flexibility and deeper insight.